Yes, I'm a noob and trying to make farms with help of youtube videos (tutorials). Also, my minecraft version and server version si 1.12.2. I play on a public mc server. First off, I need help with a creeper farm which I got the design from . I have 8 spawning platforms and did the pillar thingies to help spiders not spawn, the gap between the platforms and wall is of 1 block (I think that may be the problem?) no platforms on the edge, connected to an item redstone clock. I tried several times to farm and from some hours I only got 40 gunpowder, and tried readjusting and doing things for it to work, I tried 3 different places to farm, the closest one to the farm worked best apparently (closest is at Y 63, second at 138, and third at 162) The y levels of the farm are: the magma block center which kills creepers at 6 and the wooden slab area on the top of the farm at 34.5. Tried farming with people online, didn't work well, tried farming without, kinda worked but still worked slow. I before used render distance 8 or 12 but now after reading from people I use 16-17 render distance. Second off, I need help with a villager breeder, gave the villagers carrots and all that and all they do is stare at eachother and bump up and down, the collection system is ready, the "village" I have created, I used and no babies are coming out of the machine, the villagers don't even do hearts which is very infuriating cause I took the villagers from aproximatively 3000 blocks distance and tried extremely hard and the machine doesn't work. The server I play on is play.terrorgames.ro (romanian server) and the average players are kinda 3-4 and in the mornings I'm usually alone, the survival version is 1.12.2. Hope I don't have that many grammar mistakes, I'm only 14 and my english is kinda off (I am a romanian). Your pictures are a bit small but I'm pretty sure that the upper villager in your breeder is too low. It looks like he has 2 blocks of space between his head and the blocks the doors are on? In the video he only has 1 when the piston is extended. 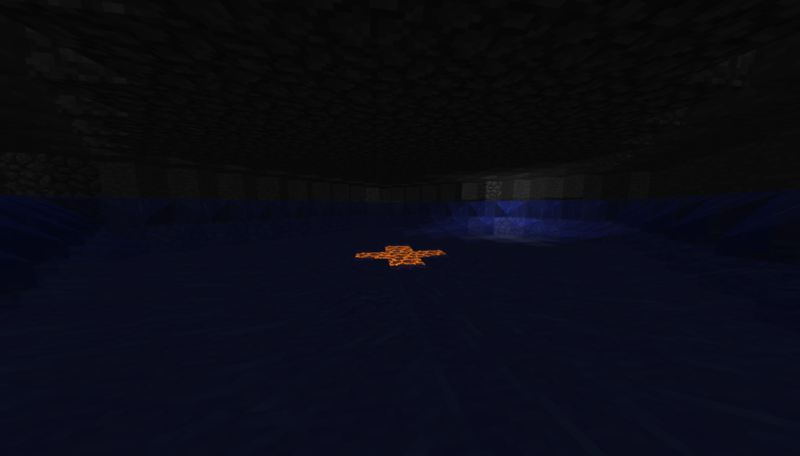 For the creeper farm I think pictures of the spawning platforms could be useful for finding problems. On a server I think the servers render distance is more important than your render distance. Where villagers 'stand' in a water block changed between 1.12 and 1.13. As you are playing 1.12.2, using Minecraft Infinite Villager Breeder Tutorial 1.12, 1.12.1 & 1.12.2 EASY to Build also by Frilioth is recommended. At minimum, the recognition villager (The one standing on the glowstone.) needs to be higher. 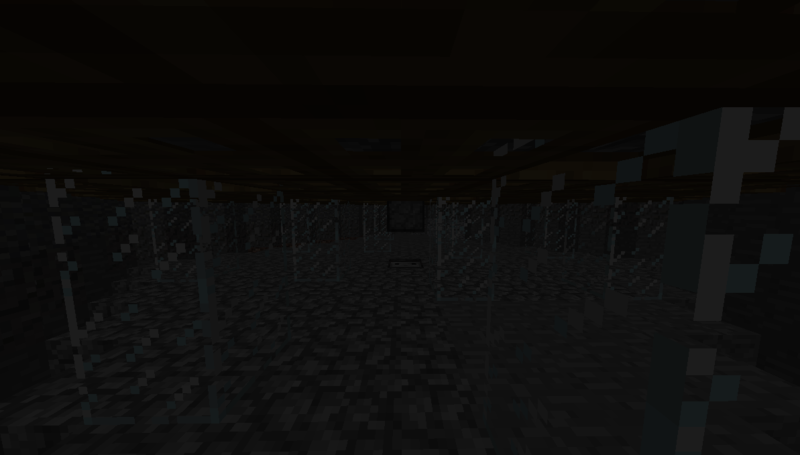 In 1.12, this picture from the Minecraft wiki shows the vertical range within which a villager can detcet doors. Mumbo Jumbo's creeper farm (shown in the first video) is based on Simple Hostile Mob Farms, Minecraft 1.12 (Fun Farms Ep. 15) from gnembon which may be helpful. 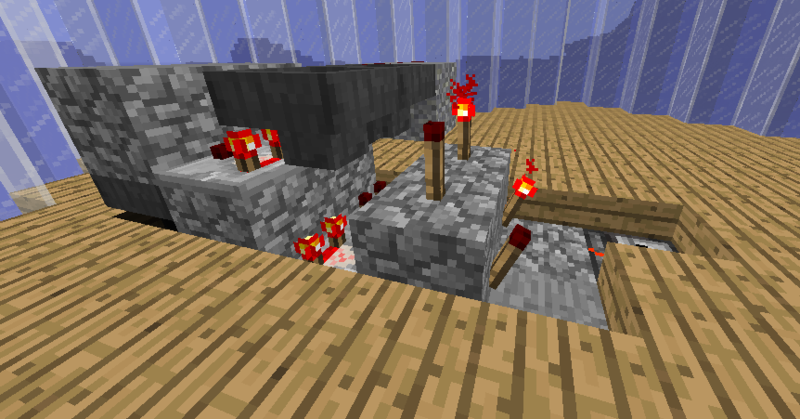 Importantly, the changes in mob spawning mechanics between 1.12 and 1.13 changed the optimal position of the farm. gnembon discusses the advantages and disadvantages of various positions for the farm in 1.12.2 at about 12 minutes into his video. 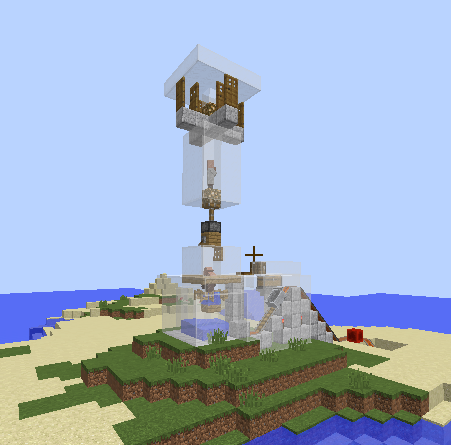 Mumbo Jumbo (who is playing here in 1.13) built it as low as possible to take advantage of the changes in mob spawning between versions. "the gap between the platforms and wall is of 1 block"
This should not be be a problem. gnembon's discussion of his creeper only farm – at ~36 minutes into his video – notes that 1 wide gaps are enough.